Helping you make the most of your account is important to us. Below, we've put together several helpful hints to help you reduce your bank fees. Can We Help You With One Of The Following? The best action you can take to save on your bank fees is to make sure your account is right for you. Each of our personal banking accounts and savings accounts have been carefully designed to meet a wide range of needs. In addition, you'll find that our account fees are clearly stated and easy-to-understand-helping you to make informed choices. You can significantly reduce the bank fees you pay by consolidating all of your accounts from other financial institutions into one account with RBC®. We can even take care of the entire transfer for you — and it's absolutely free. Make an RBC personal loan payment or a credit card payment before the due date and avoid unnecessary late charges. 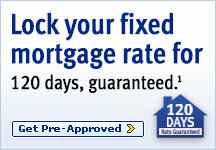 Double up on your mortgage payments and you can save money on interest. Pay a bill to over 10,000 companies and save on the cost of postage. See the bills you can pay with Online and Telephone Banking. Use Pre-Authorized Direct Deposit and let your employer deposit your paycheque directly into your account without you having to visit your local branch or a banking machine to make your deposit. Make a third-party payment to another RBC client through Online Banking as an alternative to certifying a cheque or sending a draft or money order. Use a Pre-Authorized Savings Plan and pay yourself first. An easy way to build for the future and save on transfer fees, and cheque fees. Our Hold Policy Guide provides in-depth information on how to avoid being placed into an overdraft situation when accepting cheques and items for deposit or negotiation. An RBC Royal Bank specialist is ready to help you find the right account or service that matches your everyday personal banking needs. † Please note that each payment to a third party from your RBC Royal Bank credit card account is treated as a cash advance (up to your available credit and daily limits) and is subject to the standard annual interest rate applicable to your credit card account, from the day the cash advance is posted until the balance is paid in full. A $3.50 cash advance fee/transaction applies and will be charged to your credit card Account. If paying from a Royal Credit Line regular interest charges apply. See your Royal Credit Line Agreement for details.